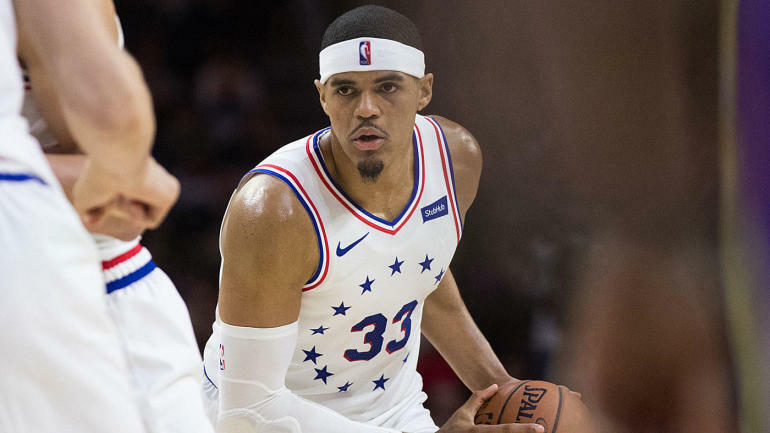 The Philadelphia 76ers added Jimmy Butler and Tobias Harris this season to make a run at an NBA title, but the Brooklyn Nets proved Saturday they can't look past them. 3-seed Philadelphia is favored by 8.5 in the latest Nets vs. Sixers odds after the line opened at -7.5, with the over-under for total points scored set at 226. Brooklyn has won four in a row and covered the spread in nine of its last 12, but Philadelphia will likely have a healthier Joel Embiid (knee) and a motivated lineup after the Game 1 embarrassment. Embiid, who's questionable for Monday, owned the Nets during the regular season, scoring at least 33 points in three of the four games and recording at least 12 rebounds in all four.